Gary Jules is an American singer-songwriter, best known for his cover version of the Tears For Fears classic "Mad World", which he recorded together with friend Michael Andrews for the film Donnie Darko. It became the UK Christmas Number One single of 2003. Since then it has been used on popular American TV shows, in a commercial for the critically acclaimed video game Gears of War, an episode of CSI: Las Vegas, and a Season 5 episode of the medical drama House. Gary Jules combined sharp writing with a steadfast resolve to rise to the top as a singer/songwriter. 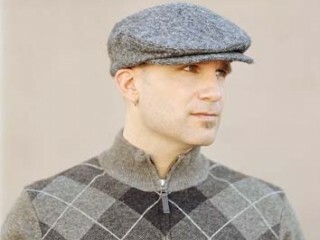 Writing about Jules's album Greetings from the Side, Stanton Swihart of All Music Guide noted, "With just a single album, Gary Jules emerged as one of the most gifted songwriting talents to surface during the decade." Critical approval, however, failed to buoy the artist's initial success when his record label neglected to promote his first album and eventually dropped the singer. Overcoming his disillusionment, Jules created his own venue in Los Angeles and finally recorded his second album without the support of a label. Although his determination soon brought him new success, he remained committed---in good times and bad---to his craft as a songwriter. "I don't worry about how something will do in the charts," he told Jeff Partain on the VirginMegaMagazine website. "I just like to complete a song to my satisfaction." Gary Jules Aguirre was born in the late 1960s and grew up in San Diego, California. As a child, Jules began guitar lessons, and was influenced by his mother's love of singer-songwriters like Joni Mitchell, James Taylor, Jim Croce, Cat Stevens, and Simon and Garfunkel, as well as his father's preference for the harder rock of the Rolling Stones, Creedence Clearwater Revival, and the Beatles. He quit the lessons, only to return to the electric guitar in the fifth grade. At age 13 his musical taste temporarily turned toward the harder rock of Led Zeppelin, AC/DC, and Black Sabbath, and in high school he joined a rock band. As Jules began to compose his own songs in the early 1990s, however, he found himself returning to the quieter music preferred by his mother. "At that time I really got into Cat Stevens," he told Partain. "I went back to the familiarity of that music when writing my own." Once he had gathered a number of songs, he started working with childhood friend Michael Andrews, who would eventually produce his friend's first two albums. Jules and Andrews had played baseball together as children, and would later form a number of bands together, including Origin. Although the pair often found themselves in conflict as bandmates, their relationship in the studio produced winning results. "Mike can recognize the essence of the people he produces," Jules told Pierre Perrone in the British Independent on Sunday, "and he makes you stretch toward your art." With the help of an acquaintance, Zeke Piestrup, Jules signed to A&M Records. Jules then brought Andrews on board as producer, and then brought engineer J. Bradley Cook (who had just finished working on the Counting Crows' latest album) into the project. The trio, along with a small band, moved into Andrews's basement, where they recorded an album in the spring of 1997. Critics singled out Greetings from the Side as one of the most fully realized singer-songwriter albums of the year. Swihart wrote, "Gary Jules arrived on this debut fully formed, an insightful lyricist whose words were accompanied by some of the most sad-eyed, exquisite melodies to come out of the decade." Unfortunately, the positive buzz from Greetings From the Side meant little when his record company was absorbed in a merger, and the album wasn't released until the fall of 1998, received no promotion, and Jules was eventually dropped from the label. After a year of performing he returned to school, completing a degree in British Literature at the University of California at Los Angeles (UCLA). When Jules returned to music, his experience at A&M led to a sea change in how he would pursue his musical career. "I had a bad experience with my first album and it left me feeling pretty depressed," he told Lisa Verrico in the U.K.'s Times. "Then I realized if no one else was willing to put any effort into my career, I'd have to do it myself." It took Jules three years to finish his second album. "I was always writing and playing music," he recalled to Partain. "I remember I didn't have any money or gear, and [producer Mike Andrews] just told me we needed to do it." Regardless of the fact that Jules and Andrews spent no more than $100 recording the album and released it independently, Trading Snakeoil for Wolftickets received the same critical attention as Greetings from the Side. The album, noted Swihart in All Music Guide, "takes on a shimmering glow. Gracious and redemptive, it is a rapt, quiescent masterwork." Trading Snakeoil for Wolftickets received an unexpected boost when Jules's version of Tears for Fears' "Mad World" was used on the Donnie Darko film soundtrack in 2002. "Everybody who heard the track ...went 'Wow!,'" Andrews told Perrone. "It's a rickety little track, not perfect by any means, a beautiful mistake, but people reacted to it." The song's exposure as part of the film led to frequent radio requests in the United Kingdom, eventually landing "Mad World" in the number one spot during the Christmas season. "The song has taken the lid off the coffin of a musical year which promises more gloom than Leonard Cohen when his dog's just been run over," wrote Verrico. Following the release of Trading Snakeoil for Wolftickets, Jules toured frequently in support of the album. He also joined a number of established performers on the road, including Todd Rundgren, Sheryl Crow, and Jason Mraz. Even with his success, however, he has remained circumspect. Speaking with Shane Handler on the Glide Magazine website about his experience touring with Jack Johnson, Jules said: "I was excited by the way he did it and took the music to the people, and didn't worry about videos and major label distribution." Jules has copied Johnson's approach, always reminding himself that the quality of the music itself---not the music business---is the bottom line. "If you really want to be an artist," he told Handler, "expect to be struggling forever. ... You have to love exactly what [it] is you're doing. ... If you do love it, it doesn't matter what the rest of the world thinks, which is the greatest part." View the full website biography of Gary Jules.